The Li’l CRITTER™ High-Pressure Gas Compressor is used for low capacity production and research applications that require a small flowrate at high pressure. Standard units are available for discharge pressures of 10,000 to 60,000 psig (70 to 415 MPa) in frame sizes of 3, 5 and 7.5 hp (2.3, 3.8 and 5.6 kW). Two-stage Li’l Critter™ compressors typically operate with inlet pressure ranges of 500 to 3,000 psig. 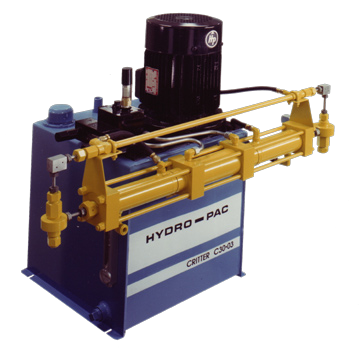 Single-stage compressors operate on an 8:1 compression ratio. These compressors can be customized for specific pressures, capacities and applications with simple modifications.